The Blue Grass Chemical Agent-Destruction Pilot Plant (BGCAPP) is undergoing final preparations before the destruction of chemical weapons stored at the Blue Grass Army Depot begins. BPBG employees have completed 11,707,517 hours and 1,765 days without a lost time accident and a recordable injury rate 77 per cent lower than the industry average. Since the construction of the main plant was complete in 2015, the project has been in the systemization phase, where equipment and processes are put through a series of tests to ensure their functionality leading into operations. 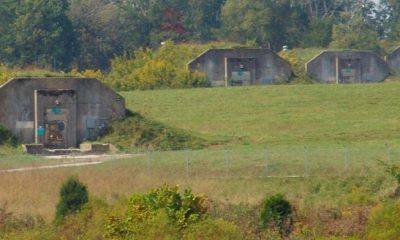 BGCAPP will safely and efficiently destroy a stockpile of 523 tons of mustard and nerve agent in projectiles and rockets currently in storage at the Blue Grass Army Depot. Chemical weapons destruction operations are scheduled to finish in 2023. 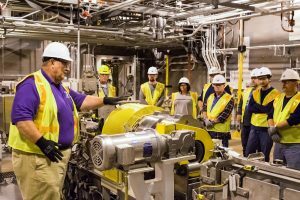 For more information on the project, please visit the Program Executive Office, Assembled Chemical Weapons Alternatives website at www.peoacwa.army.mil.